If you live outside of the St.Charles Park District there is a $43 Zone Fee. Where do the registration and fundraising costs go to? Thank you for your support and we are looking forward to making 2019 a great season! 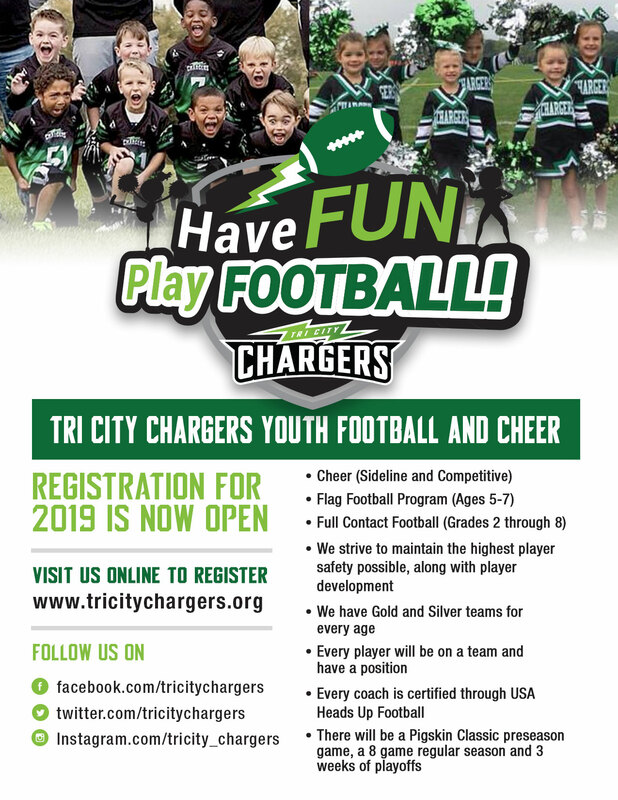 Building Connections with young athletes and their families across the Tri City area that move beyond the field, and expand the Charger Family. 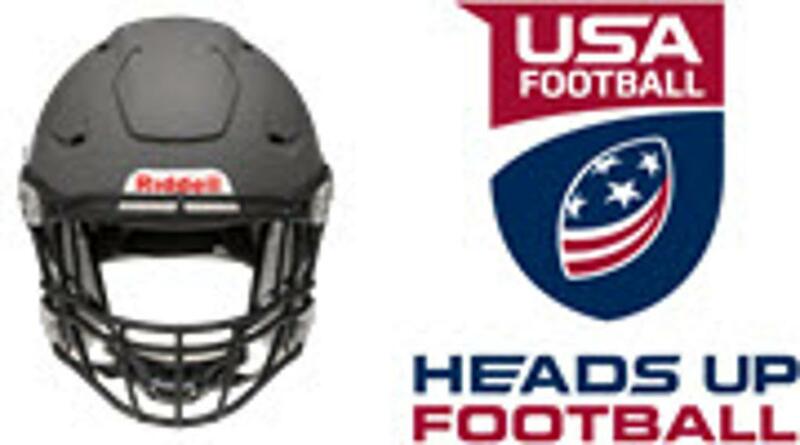 Teaching Heads Up Safe Tackling, Certified Coaches trained in concussion protocol, and 5-star helmets re-certified every year. 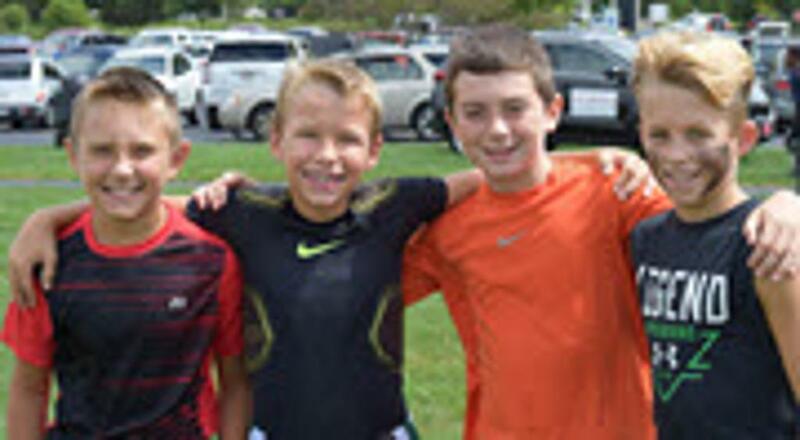 Creating Leaders on the Field, in the Classroom, and in the Community. Supporting Giant Steps, Lazarus House and other organizations in the community. Competing at the National Level for the last 7 years, with 5 National Champion Teams, 4 Runner Ups, and 1 third place finisher. GET THE NEW CHARGER GEAR!!! External links are provided for reference purposes. 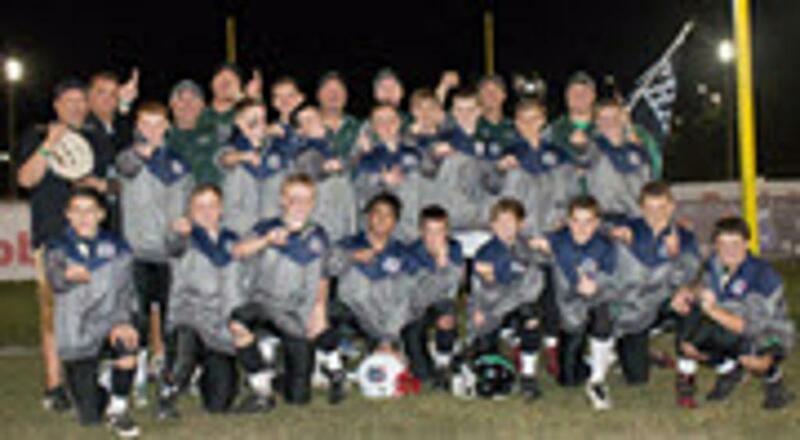 Tri City Chargers is not responsible for the content of external Internet sites.